Apple TV. Worth it? I think Not! Now that the 2010 Apple TV, is released we think to ourselves, are we ready to yet another device that does most of the stuff that all our latest devices already do. For example, Blu-ray is now becoming the hottest thing on the market, so all of us are rushing to run out and getting a fancy Blu-Ray player to set in our living room so we can see that full 1080P High Definition. Yet Apple TV’s largest resolution is 720P and no Blu-Ray. Now a days most of us have DVR’s from our TV service providers, or we invest in TiVo, and if your too lazy to hit record on your DVR, and record in full 1080i and skip through commercials, then go ahead and pay $1 to buy the full show for 24 Hours, or record it, watch whenever, and delete whenever for the our favorite price, free. 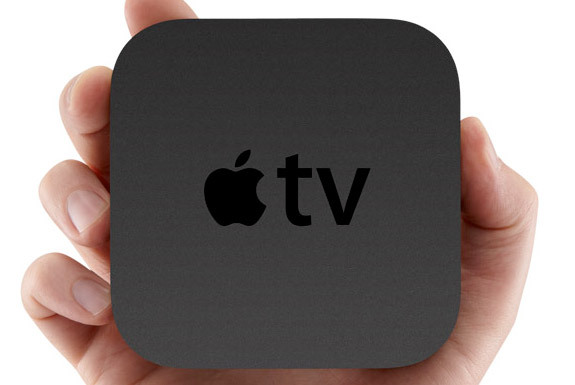 Also check to see if you have a device that already does what Apple TV offers. For example, most of us have a ps3 or Sony Blu-Ray player, and both have many streaming choices such as Netflix, Hulu Plus, Pandora, Flicker and many more. I have been going on a while on what why we shouldn’t buy it, but there are some pretty cool features about it such as airplay, and the sharing your iTunes library through your home network. They changed the name from air tunes, to air play, strictly because the iPad update 4.2 is coming out in November and will be able to stream video directly to play off Apple TV and on your TV. Although this is a cool feature if you could mirror your image on your iPad to your Apple TV, we would have liked to see the ability to mirror an image from your computer, like Intel is with their wireless display technology. The second thing is we have is the fact you can see other computers running iTunes in Apple TV. This is great if your iTunes library is organized and you have a party and can click a playlist and boom all the right songs are playing at the right moment. But most of us don’t have the time to sort through all the music that we have collected over the years, and if we have guests in our house, we don’t want to have to go to our computer and open iTunes just to listen to music. I mention this because Windows has media servers which run in the background and are accessible on just about every device, from receivers, to ps3. So before you pre-order Apple’s latest gadget, check to see if you really need it and think you will be the coolest kid on the block, when you could save $100 towards a Netflix subscription or Hulu Plus.